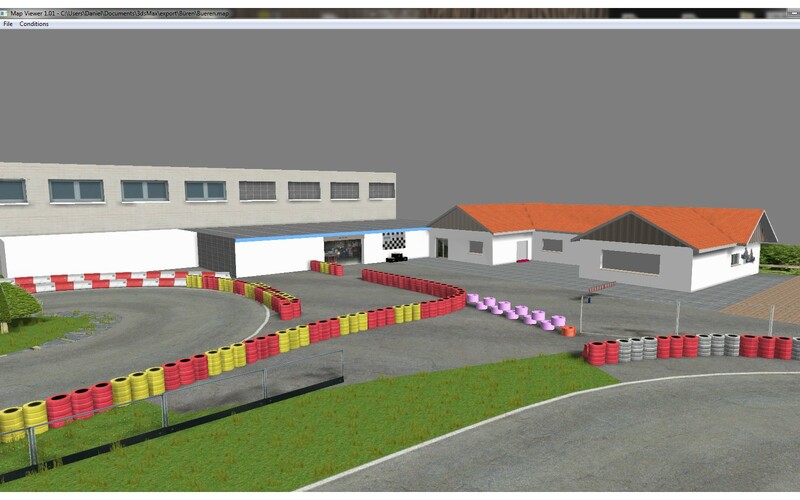 La prima versione Open Beta 1 del bellissimo kartodromo 7 Laghi Castelletto di Branduzzo in provincia di Pavia. Dal 1999 è teatro degli eventi karting più prestigiosi al mondo. E' l'arena delle sfide più alte tra i talenti che sono poi approdati o approderanno in Formula 1. Continuamente evolve in tracciato e strutture raggiungendo oggi i 1.699 metri di lunghezza ed arricchendosi di un sistema infrastrutturale che recentemente ha visto sorgere anche un moderno e raffinato Hotel e Centro Servizi. Here is my next track - Neva Ring. Again it's temporary kart track. Neva Ring Kart Layout is released for the first time for any sim. Track is based on previously released beta version of track for rFactor. But current release is much more improved version especially road surface and many trackside objects. I'd like also to thank my teammates Vladimir Makhnytkin (opiwan) and Dmitriy Gavrilenko (Gaus) for their great help in making this track. I also would like to say that full course of Neva Ring will be released for next version of GPBikes (compartible with current TrackTools). Added Bump Textures, 3D Bumps on track, FPS Crash Fixed. Now that long House and that chain isn`t collidable but that Improve FPS so i think i`ll add invisible walls there that shouldn`t do a FPS crash, I know that the Kurbs at the 3D Bump parts on track have to get fixed. Fixed Textures, 3d powerlines and fences, new bushes, 3d trees, benches, wall pictures, Rubber on Track. Folder "tracks" needs to be created for the first AddOn-Track! Roskilde Karting Track i located in Zealand (Denmark) or in danish sjælland. The track is originally made by Normark.